A story start with an arranged marriage by his parents but he decides to spoil it by telling his parent that he will reject the soon-to-be bride , Jaanu . But things take an unexpected turn when Jaanu does the same thing first , making Vikran start falling for her . Determined to win her heart , he sets out to gather information from her close friends and family , and proposes to her . When that fails , he then stands on top of a building and threatens to jump from it unless Jaanu spills her reasons for hating him . Unfortunately for Vikran, her truthful confession only leads to more trouble for him . Creativity of own nation are getting much more better to create such a great movie . Eddy Rush Fatboy Production had a chance to witness the Premiere of Tamil Movie titled 'Jhangri' that night , Just unexpected the movie have laughter and a realistic story line . Hope to see much more this kind of movie will be produce by Malaysian . Jhangri is a ROMANTIC COMEDY film which has all the rightful emotions a movie should have . Jhangri is his first movie as a Hero for Vicran along with many new faces such as DaView Puvanan , Suga , Nanthini Ganasen and Agalyah Maniam . 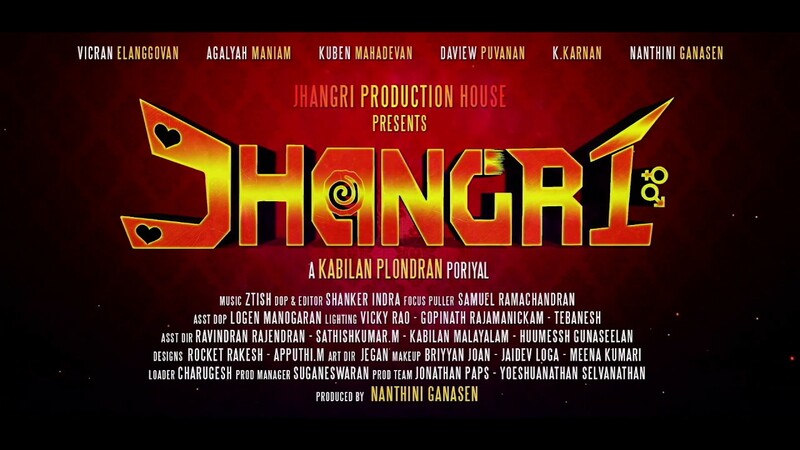 Jhangri also have G Crak Karnan and Kuben Mahadevan in a pivotal roles alongside other casts .